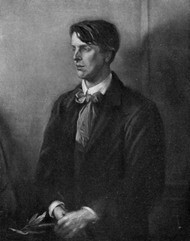 SEVEN POEMS AND A FRAGMENT: BY WILLIAM BUTLER YEATS. THOUGHTS UPON THE PRESENT STATE OF THE WORLD. NOTE ON ‘THOUGHTS UPON THE PRESENT STATE OF THE WORLD’ SECTION SIX.